All travelers will agree: as you explore more, your bucket list gets longer. 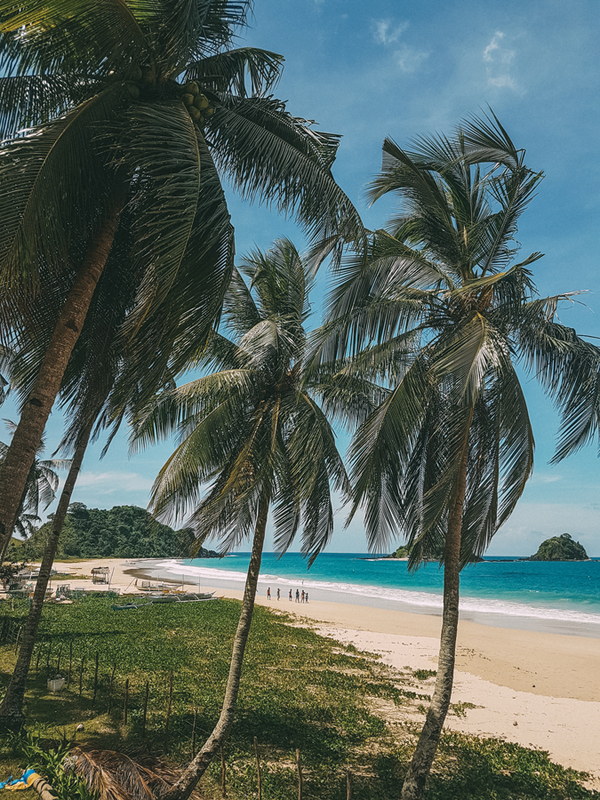 Oftentimes, you get to a destination for the first time, armed with an itinerary and loads of energy, and you find yourself already planning a trip back on the flight heading home. 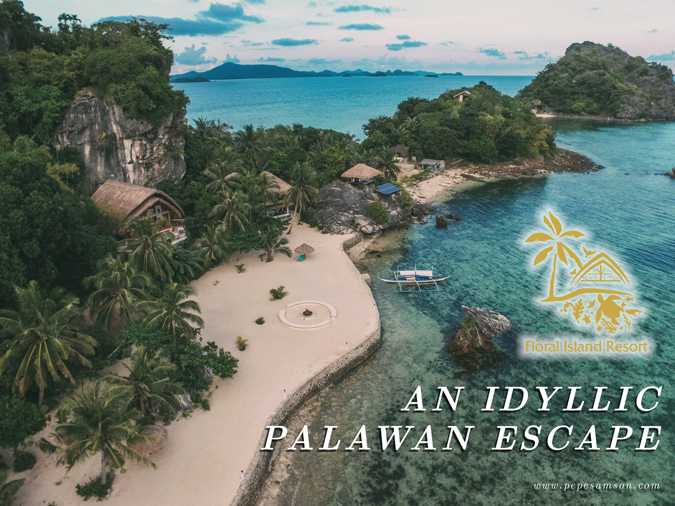 This has never been truer with Palawan—perhaps the Philippines’ best keeper of secrets, and indeed, one of the best places I’ve been to. 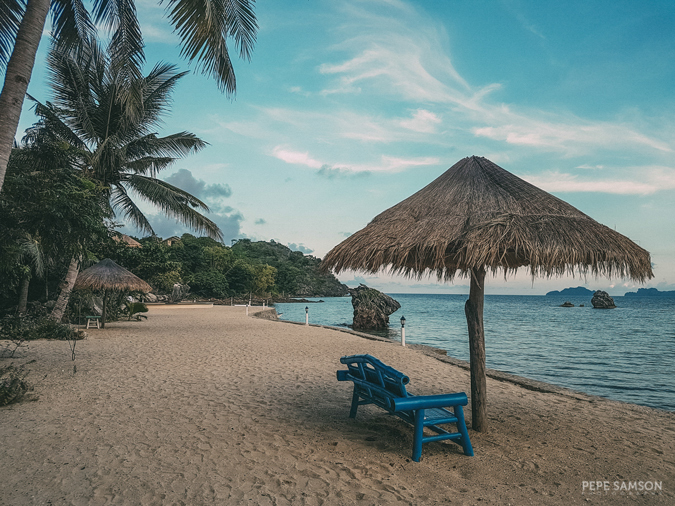 As one of the most sought-after Philippine destinations, it’s amazing how Palawan can still give you that sense of tranquility. 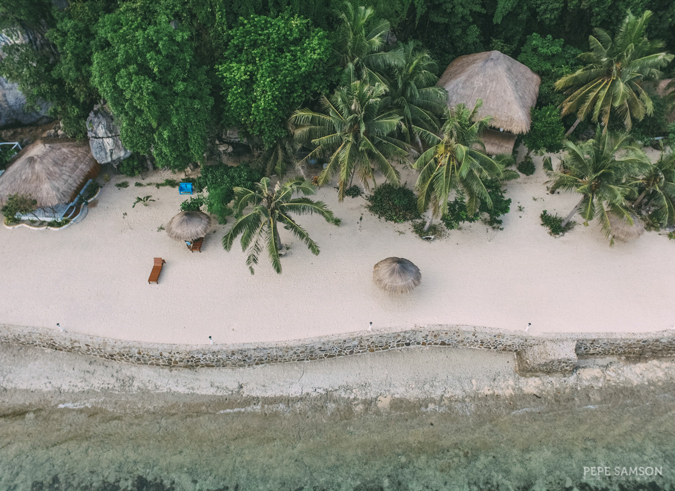 But if you’re like me who would choose the “road less traveled” anytime—in this case, the beach less frequented by people—you would be delighted to discover that you can still further disappear and get away from everything. 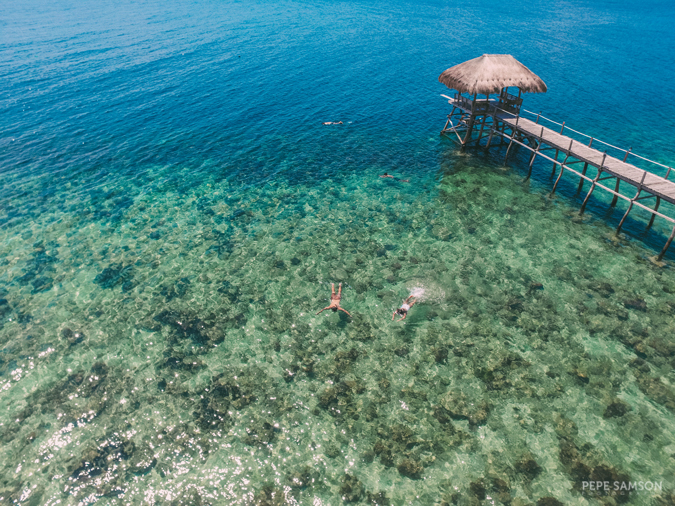 Floral Island Resort, a private island getaway off the coast of Taytay, Palawan, is a 1-hour boat ride from the mainland, a magical hideaway offering travelers a unique Palawan experience. Limestone rock formations? Check. Coral reefs? Yup. Pristine waters? Of course. White sand? Absolutely. Hundreds of tourists taking selfies? Hell no! Before you accuse me of being a “hater”, imagine this: a whole island to yourself with the beach as your backyard and the endless sea, your playground. Imagine waking up to a hypnotic sunrise, watching the sky change colors right in your own balcony, as the breeze tickles your skin. 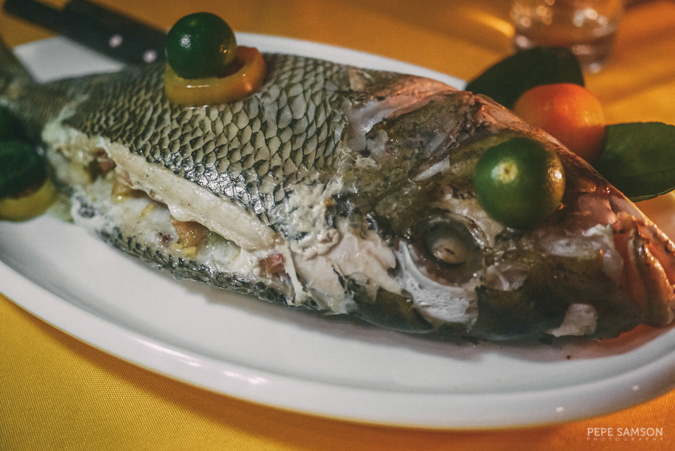 Imagine eating fish so fresh it’s as if you have tasted fish for the first time. 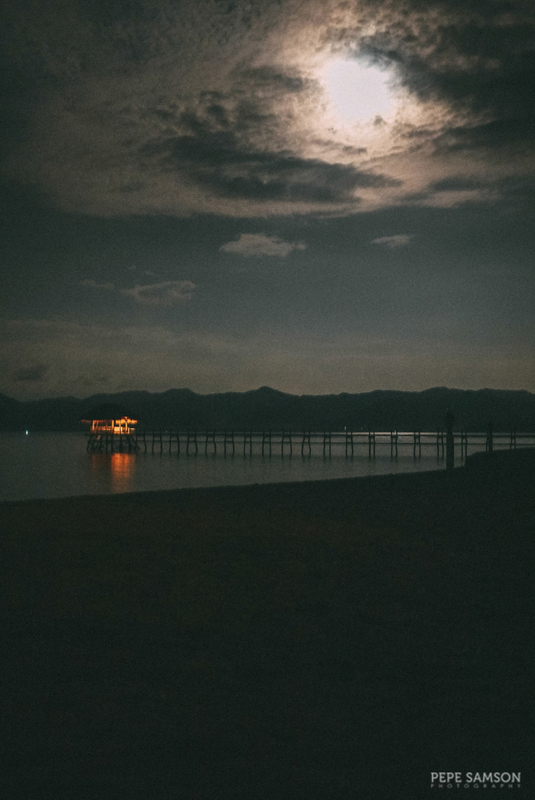 Imagine sitting around the bonfire at night, with nothing but beers, the moon, fireflies, the sound of the waves, and the sand on your toes for company. If this is not paradise, I don’t know what is. And although you can be completely alone if you wish, you don’t really have to be. 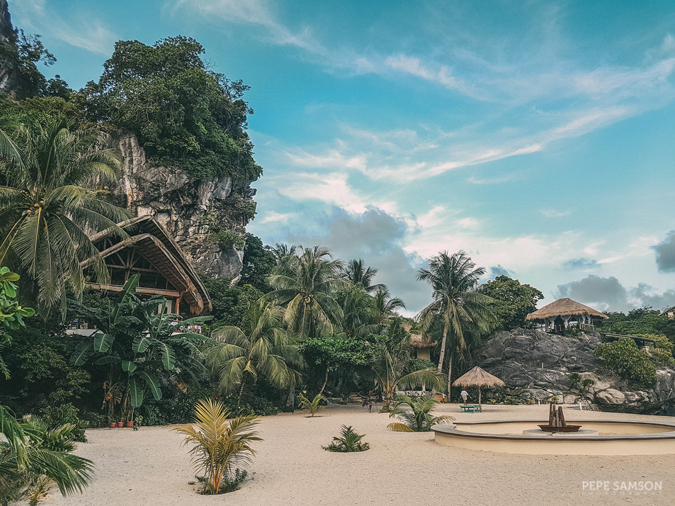 You can stay with 15 other persons—family, friends—in this tropical paradise. Read on to find out more. 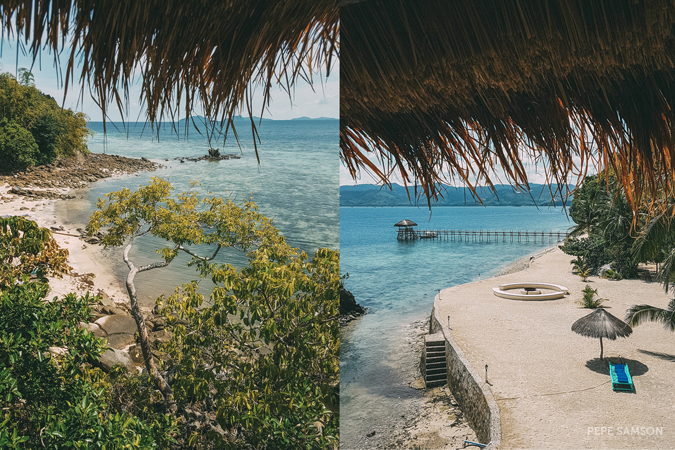 Floral Island Resort is located at Talacanen Island, an 11-hectare land in Taytay, Northern Palawan. 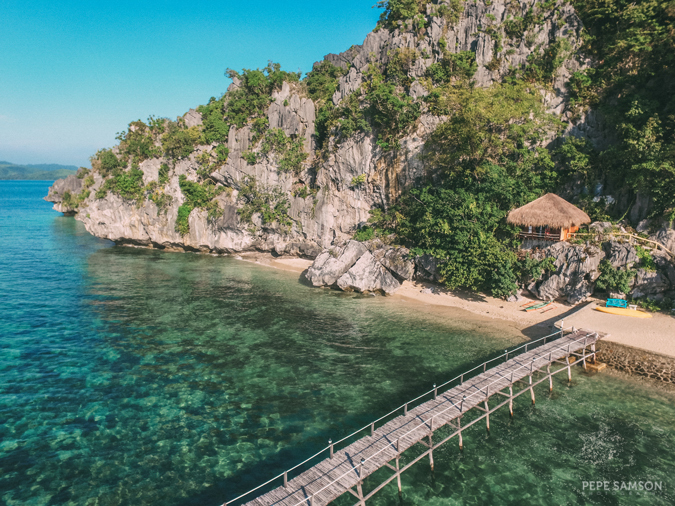 Boasting of 6 sea-facing guestrooms, the resort can accommodate up to 16 people, perfect for friends or families looking for a secluded Palawan getaway. 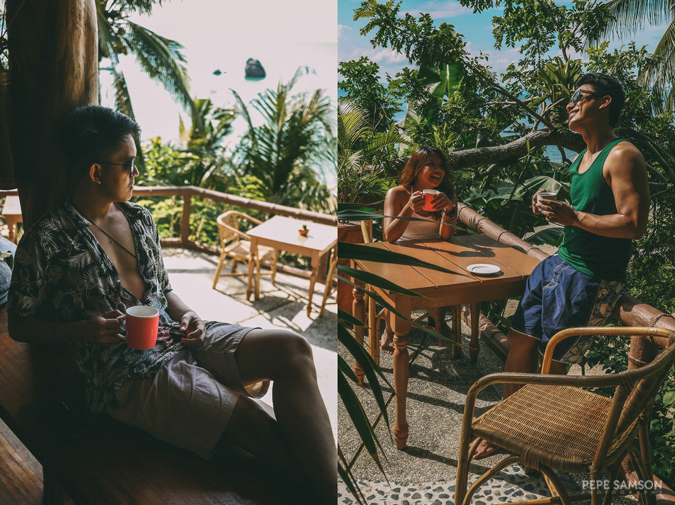 For as low as PhP12,000/night (check rates here), you and your friends or family can have the whole island to yourself—complete with rooms offering incredible views, full-board meals, boat transfers, and a smorgasbord of activities. 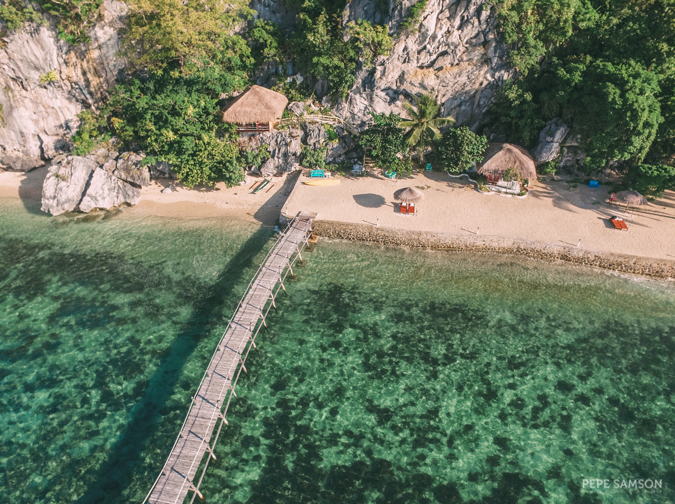 The whole island is yours—no other guests can share. The best part? 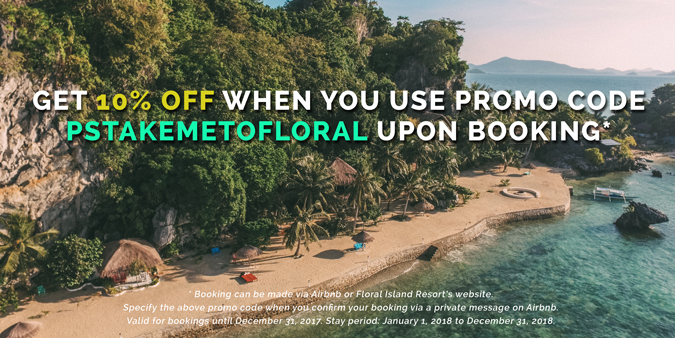 You can book Floral Island only through their website or via Airbnb—you will have hosts who will shower you with gracious hospitality! 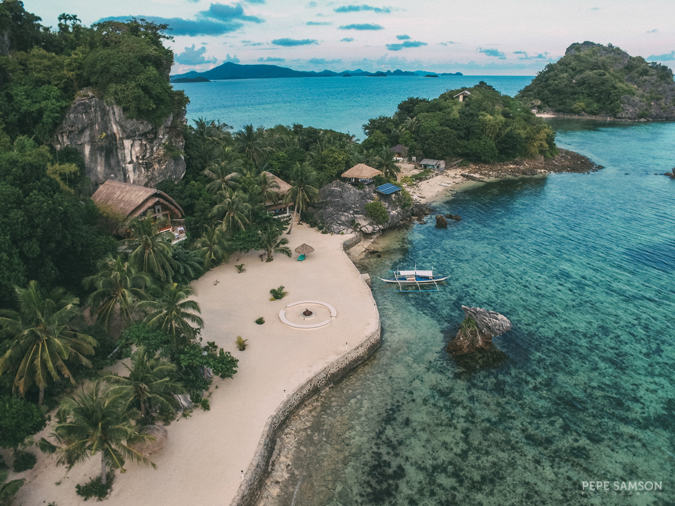 Talacanen Island itself is incredibly beautiful, with steep rock formations similar to those seen all around Palawan; stunning—and deserted!—white beaches; untouched caves; and abundant marine life. It offers a quiet respite away from everything. If you seek a piece of paradise, sailing away to Talacanen is the answer. Moreover, the island is part of the Coral Island Initiative, an international project that aims to restore damaged reefs and marine life. 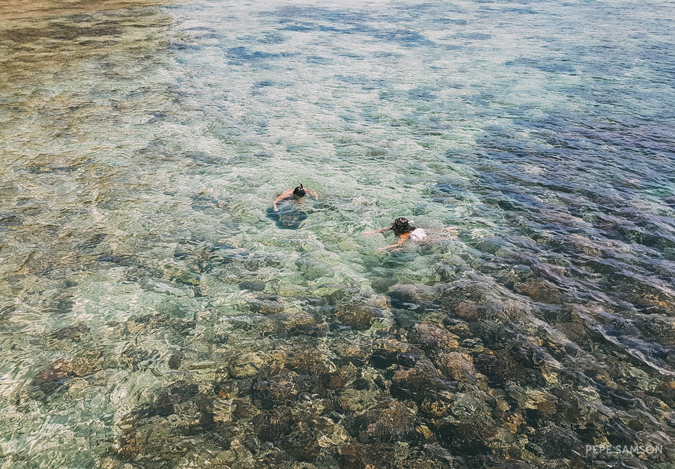 Years of harmful fishing methods destroyed corals around Talacanen, but with the construction of the resort, the island is now a protected marine site, with 20 coral domes and over 600 giant clams. 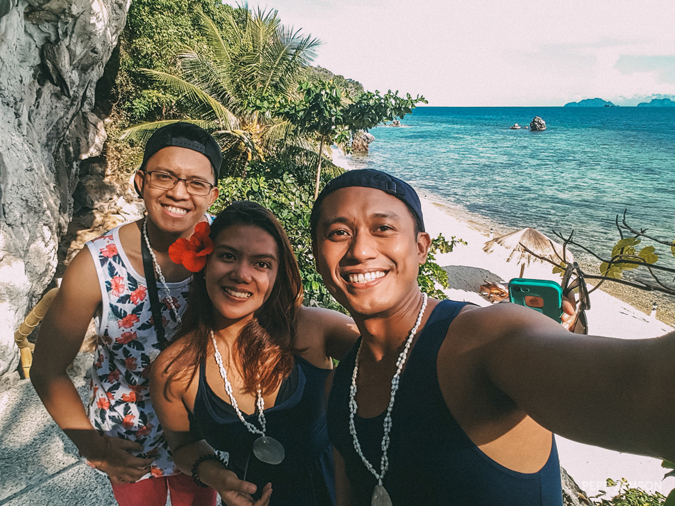 I stayed in the island with my two travel buddies, and although words fall short—I would have to say this was the best part of my Palawan trip. 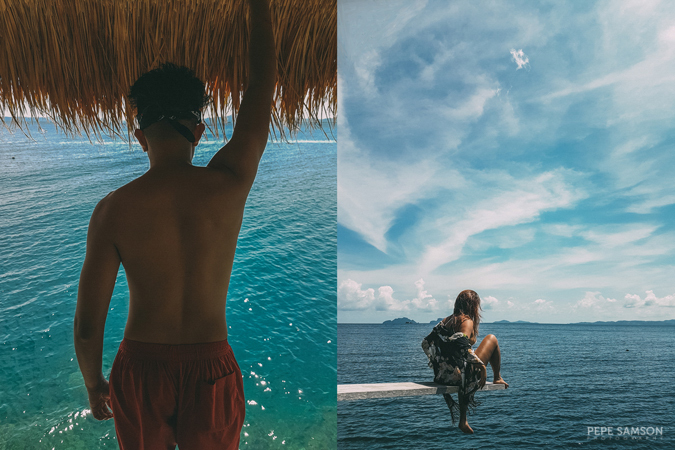 Taytay is an hour away from El Nido proper. 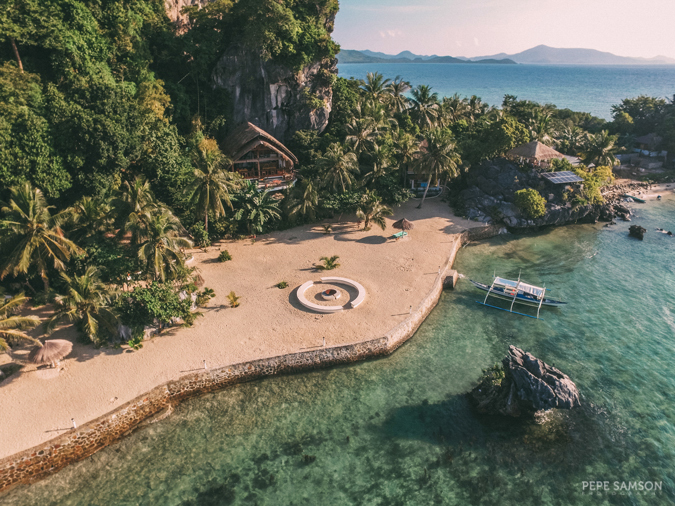 If you're coming from Manila straight to El Nido, hop on an AirSwift flight that would take you directly to Lio Airport. 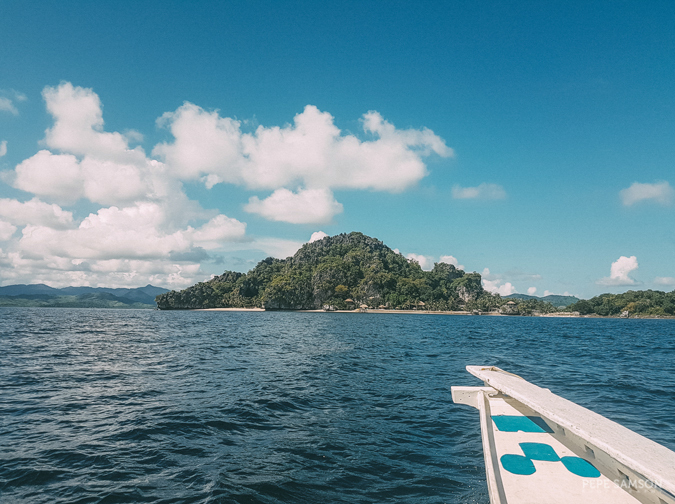 If you're coming from Manila to Puerto Princesa (you can fly via Air Asia), you need to take a public bus, shared van, or private van from Puerto Princesa to El Nido. Travel time is 4 to 5 hours. 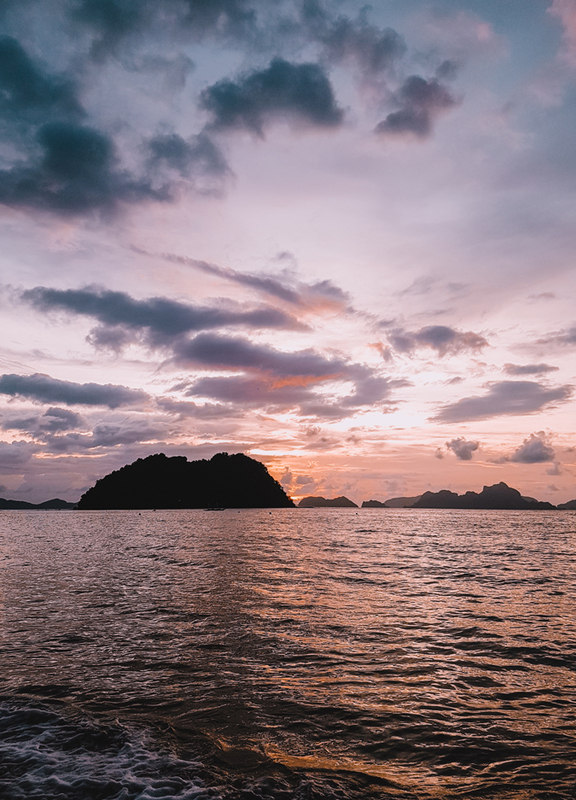 Once in El Nido, take a van to Taytay Terminal and then a short tricycle ride to Taytay Wharf. 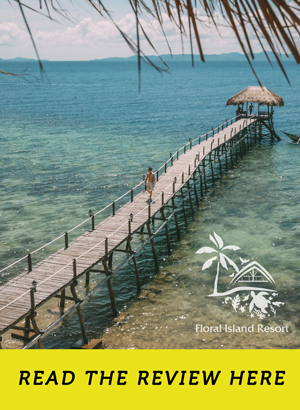 From the wharf, Floral Island staff will take care of you and will take you to the island via boat (40 minutes to 1 hour). 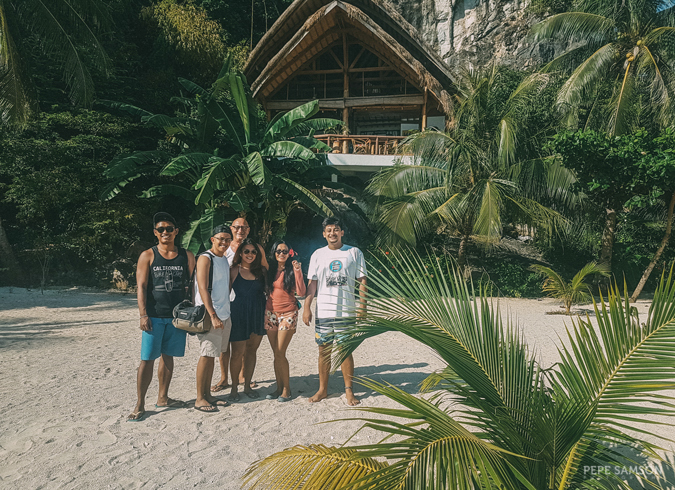 After the 1-hour boat ride to the island, we were greeted by our hosts themselves, and indeed it felt like visiting someone’s home. We alighted onto the boardwalk, and a friendly staff handed us towels and shell necklaces, then walked us to the reception area. But that was before she waited for us to stop marveling at the awesome views. 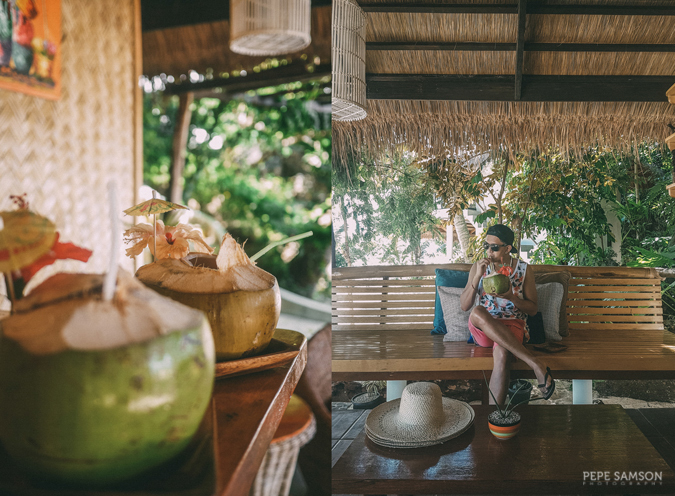 In the reception, they gave us fresh buko juice, and although it tasted just like all coconuts I have had before, it felt somewhat more special because we were surrounded by so much beauty and warmth. 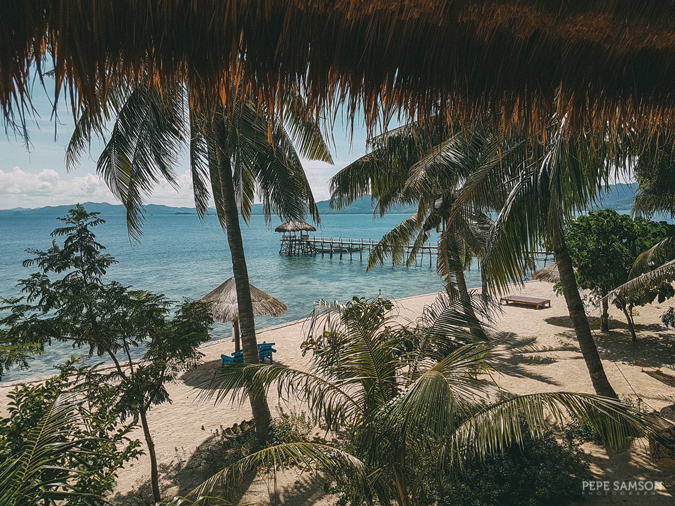 If you’re all for the native feel and tropical ambience, you will love Floral Island for sure. 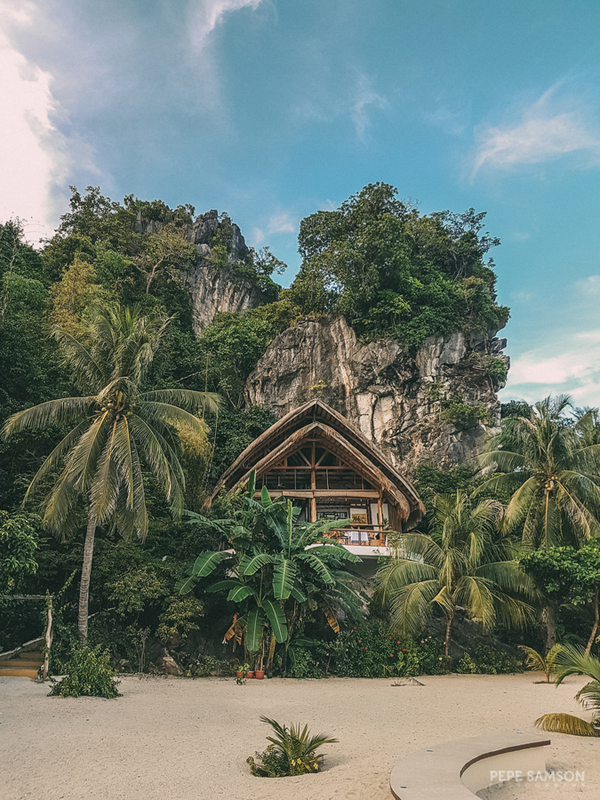 Beach cottages intersperse with trees, with cliffs on the backdrop. There’s white sand everywhere—and all around us, crystal clear blues. 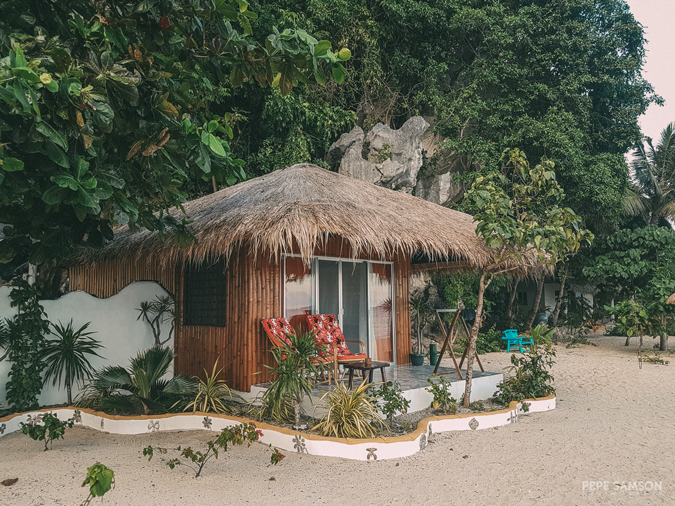 Built atop the rocks and offering a lovely view of the boardwalk, the Honeymoon Cottage is perfect for couples—with a Queen-size bed, a private veranda, and an open-air bathroom. 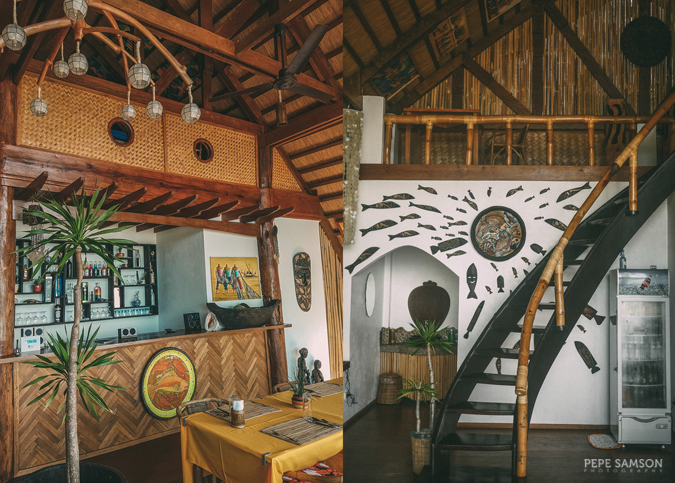 It features native elements like bamboo panels and thatched roofing—in fact, everything is made of wood and local fabrics. There’s ample storage space for luggage, a small table to put your stuff on, and power outlets. I love how it easily transports you to your own secret haven. I am torn which between the veranda and the bathroom is my favorite spot. I sat on the veranda for what seemed like hours and literally did nothing, just taking in all the splendor around me. The bathroom? Damn. 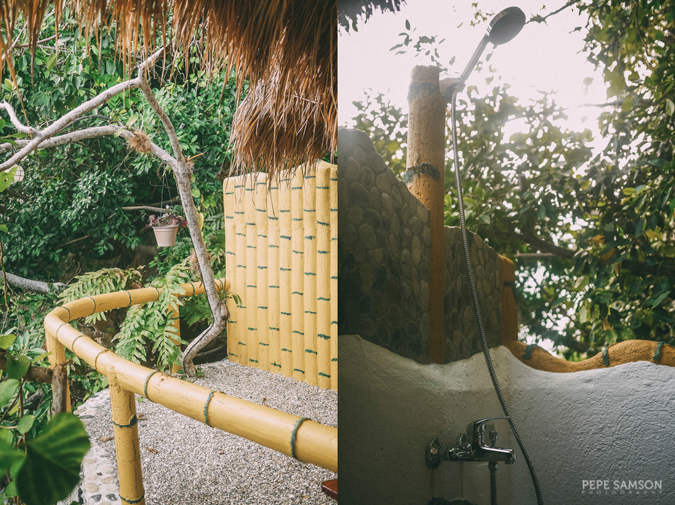 Showering outdoors could very well be an everyday thing. 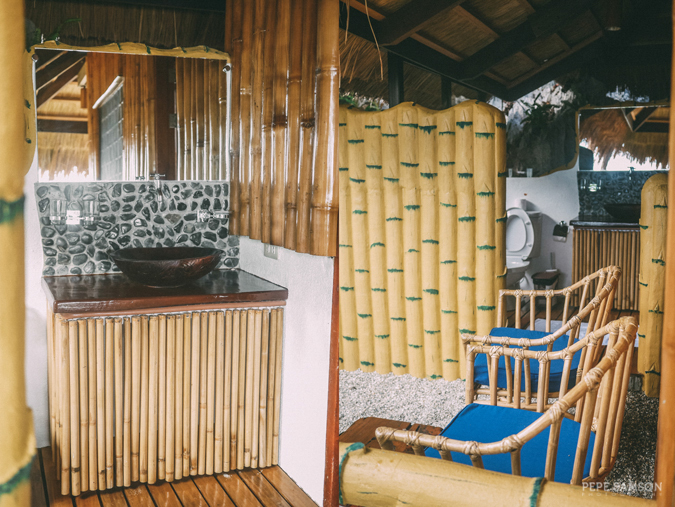 The Bamboo Cottage is somewhat smaller but just as charming, with its own lanai facing the waters. I would say it’s the most convenient room choice since there are no stairs, and you’re literally a few steps away from the sea. 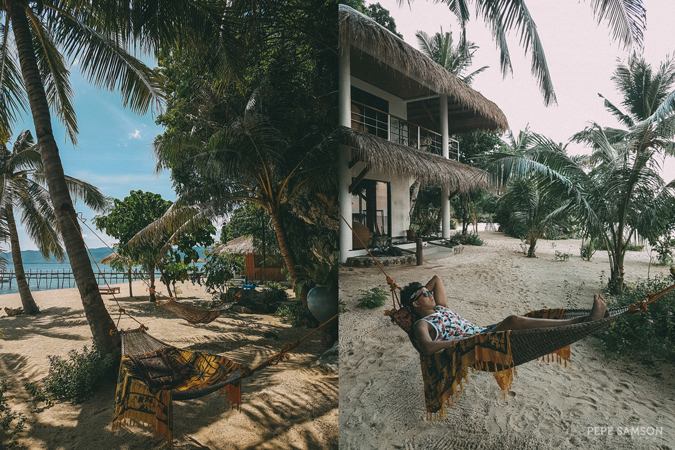 It’s also close to the hammocks, where you can doze off while catching some sun or admiring the views. 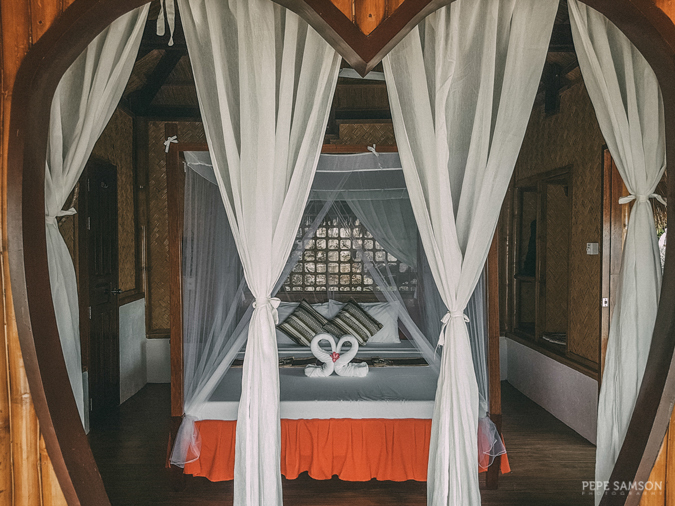 There are two-story structures holding two Deluxe Rooms and two Superior Rooms, which are more spacious than the cottages and which evoke a slightly modern feel. 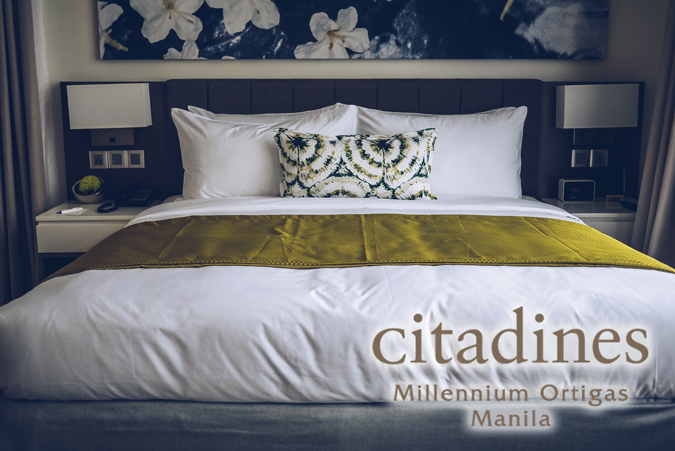 Each of these rooms can accommodate 3 persons. 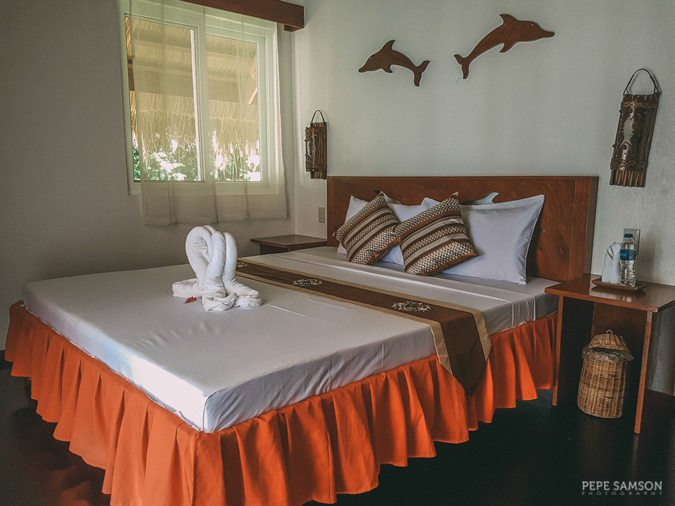 The resort owners designed the rooms themselves—and you can tell that they put so much hard work and creativity into transforming the island into a homey and comfortable retreat, not only for themselves but for guests. I know you’re wondering about electricity, so let me tell you—Floral Island has power 24/7. 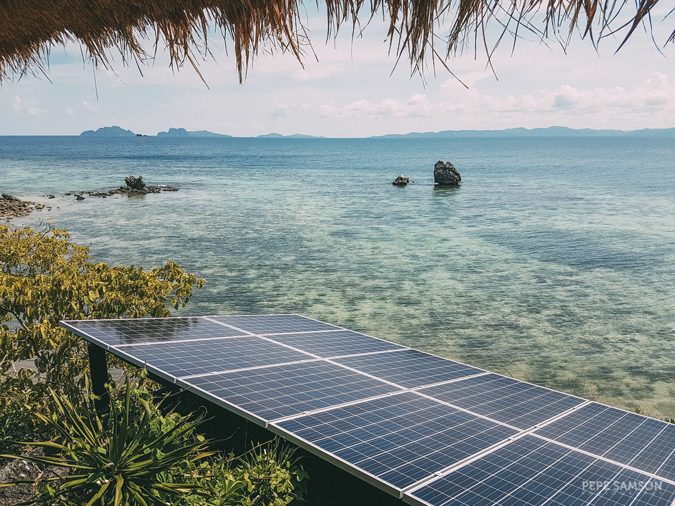 They have installed their own solar panels, which can supply the whole island. Renewable energy source—check. 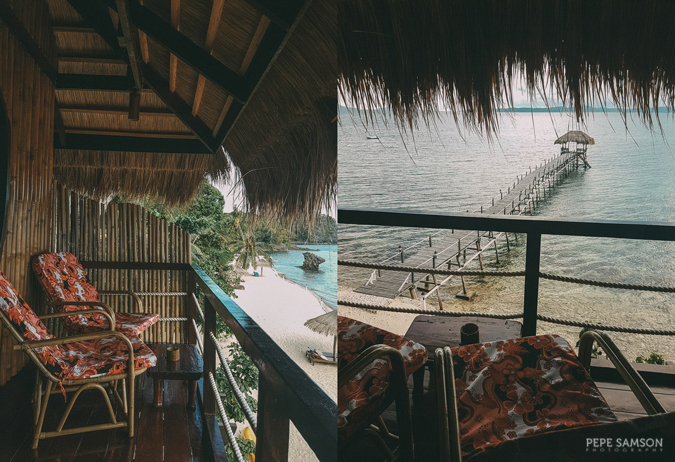 Amihan Restaurant, situated atop the cliffs and offering a breathtaking sea view, serves a variety of healthy and delicious Filipino and international dishes. 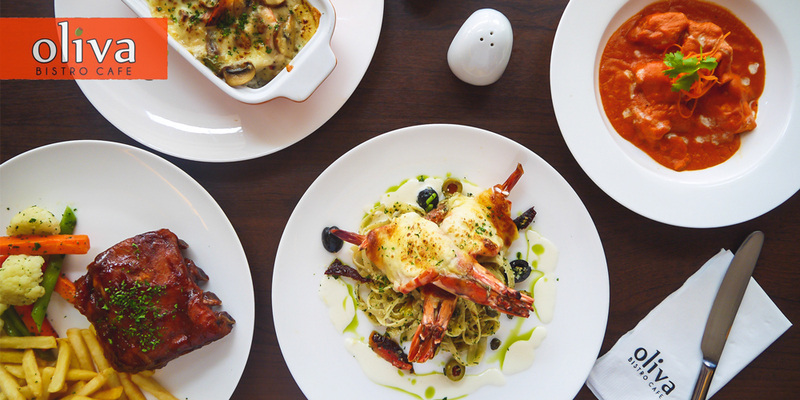 Everything is made from scratch, with the ingredients coming from the sea or from the plants that abound. 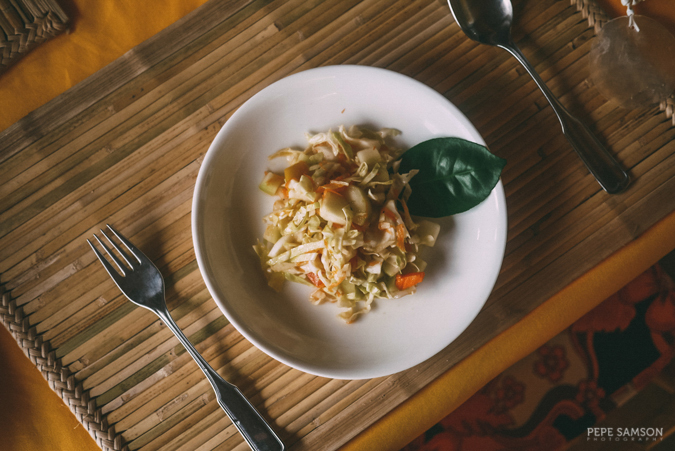 During our visit, our hosts prepared the dishes themselves—it’s like being invited to a friend’s home for dinner! 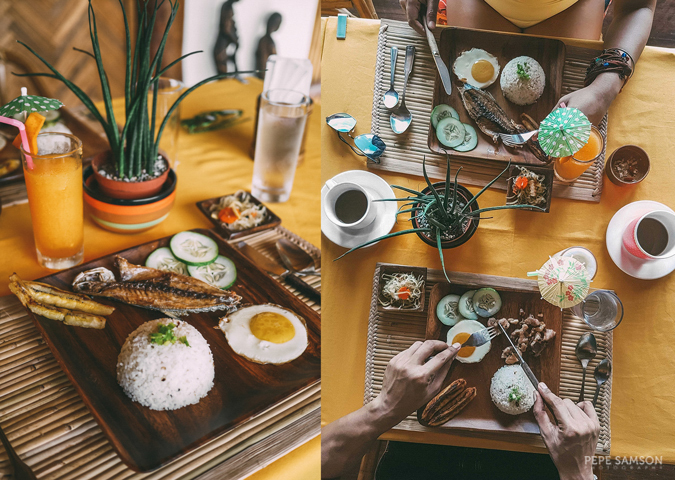 Booking the island comes with full board meals—and I tell you, the meals I had here were some of the best I’ve had. 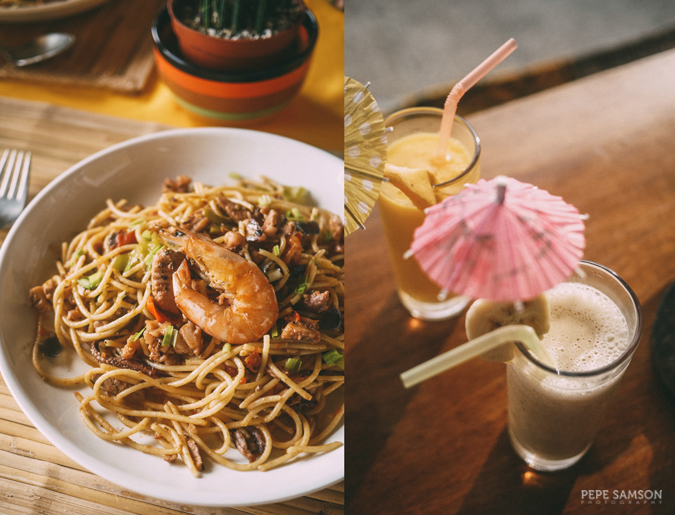 On day one, we were treated to an amazing lunch consisting of a light salad and a delicious seafood pasta. 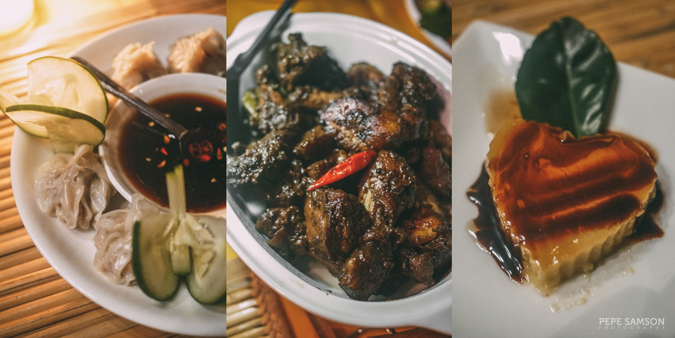 Later that night for dinner, we enjoyed a feast that started with an awesome malunggay and squash soup, followed by homemade siomai, steamed fish, chicken and pork adobo, and addicting pickled mangoes (burong mangga), which further elevated everything. We finished off with yummy leche flan. For breakfast, we had dried fish—freshly caught and dried in the island—along with bacon, eggs, and delicious plantains. Paired with fresh fruit shakes, coffee, and a stunning view, it was such a memorable breakfast. 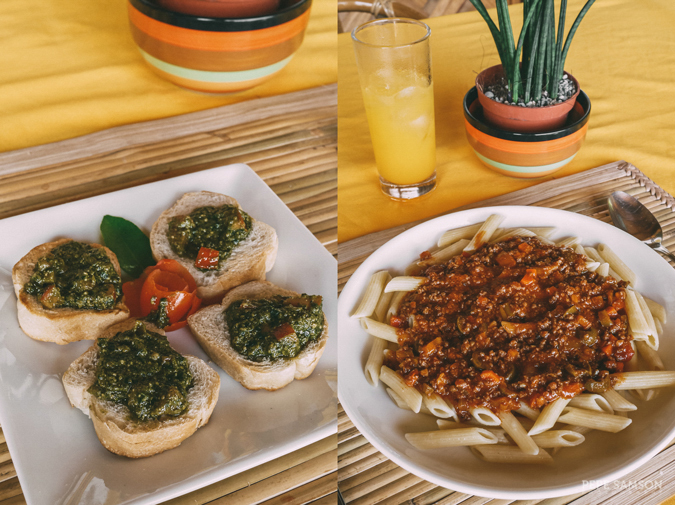 Before leaving the island the following day, we had some malunggay pesto bruschetta and bolognese. Can we just live here? 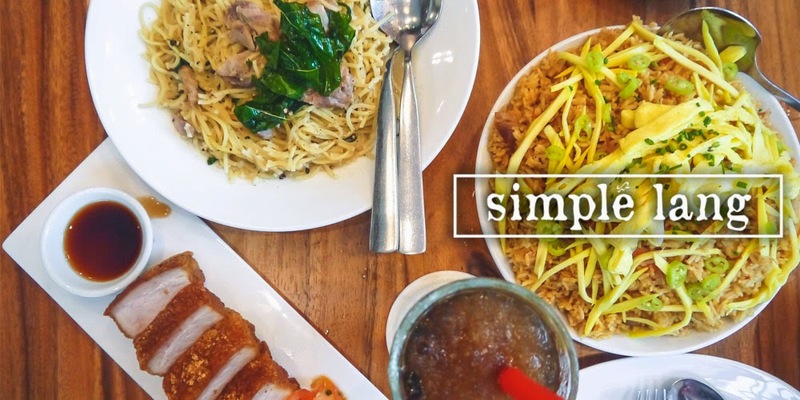 The dishes are well thought of and prepared—you can tell that each is lovingly made. 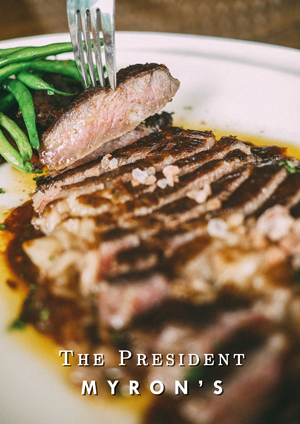 The resort prepares dishes according to what is available, and if you have allergies or special dietary needs, make sure you specify upon booking. But if you have none, take my advice—just let them surprise you. 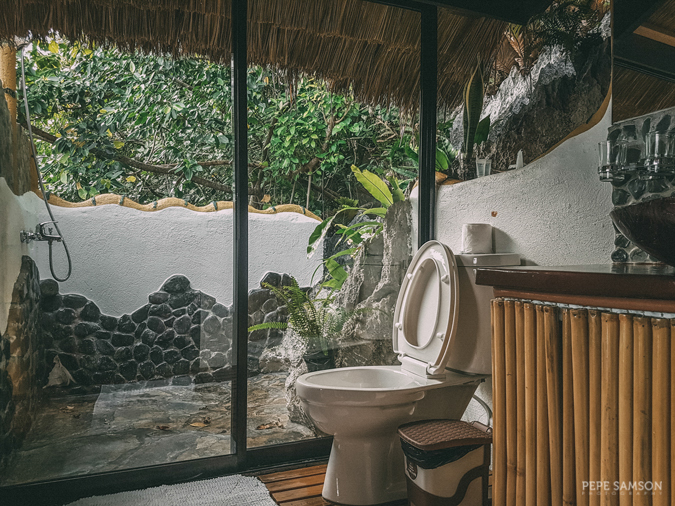 Whether you’re simply looking for a quiet corner or feeling adventurous, Floral Island has something for you. Lounge on any of the beach chairs with some refreshments or get lazy on your own hammock—but if you got extra energy, explore the vibrant marine life underneath. The daily rate is inclusive already of snorkeling gear, as well as free use of boats and kayaks, which you can use to go around Talacanen. While you’re on it, visit the small community residing on the other side of the island as well. 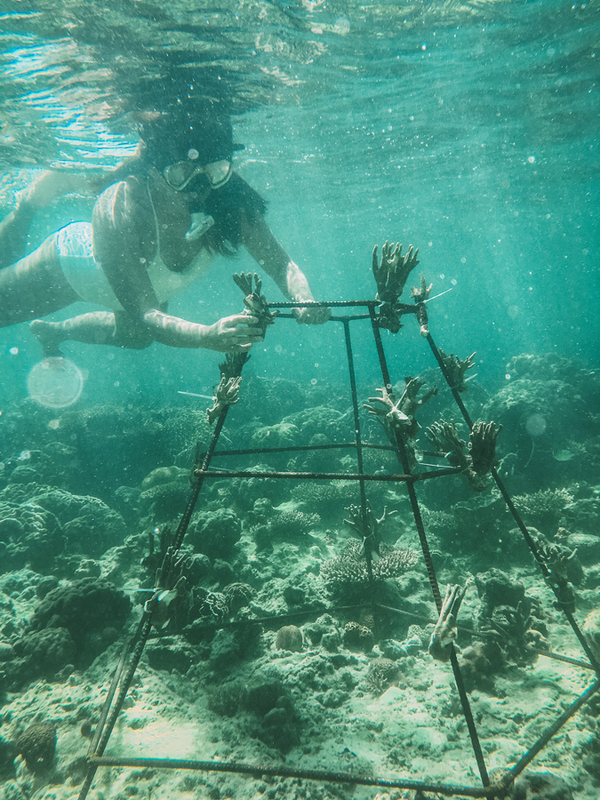 With Talacanen Island being a part of the Coral Triangle, guests are invited to contribute to this advocacy by planting corals and become Coral Heroes themselves. 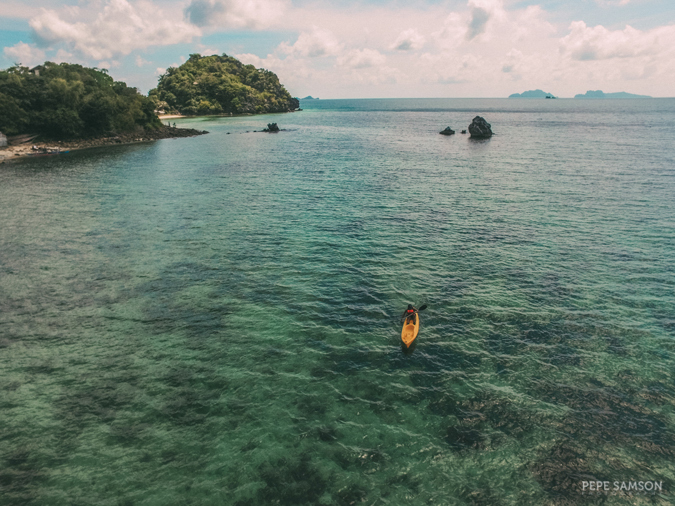 This activity requires no fee, but donations are very welcome—any amount will surely help maintain this marine sanctuary. 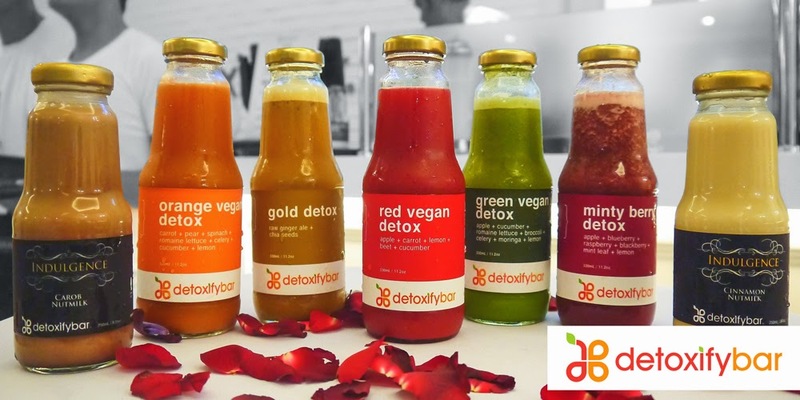 Looking for a bit of pampering? 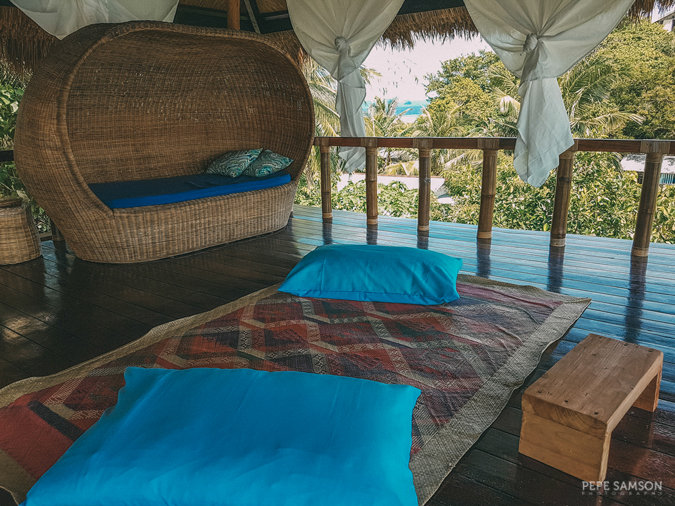 Advise the resort beforehand so they can set up a massage bed for you in the cozy, elevated open-air hut. At night, cozy up around the bonfire with some beers or experience night fishing. Looking to surprise your loved one? Request the restaurant to set up a romantic dinner by the beach! 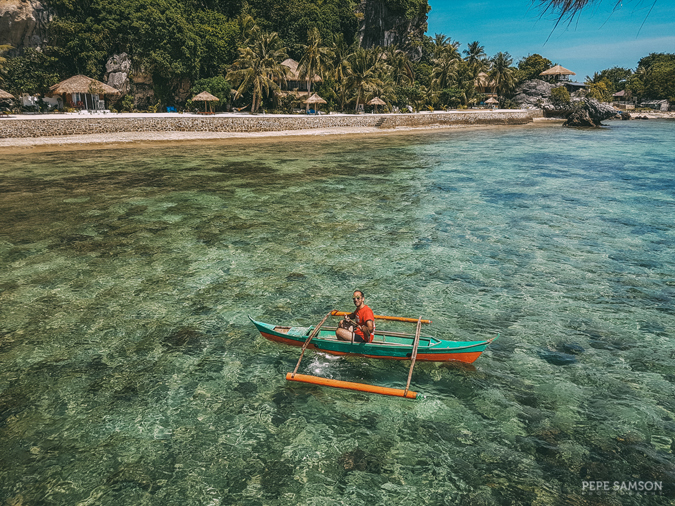 Taytay Bay island hopping and El Nido tours are also available upon request. For the rates, check out the Floral Island website. I guess it’s true: you will never forget your first. 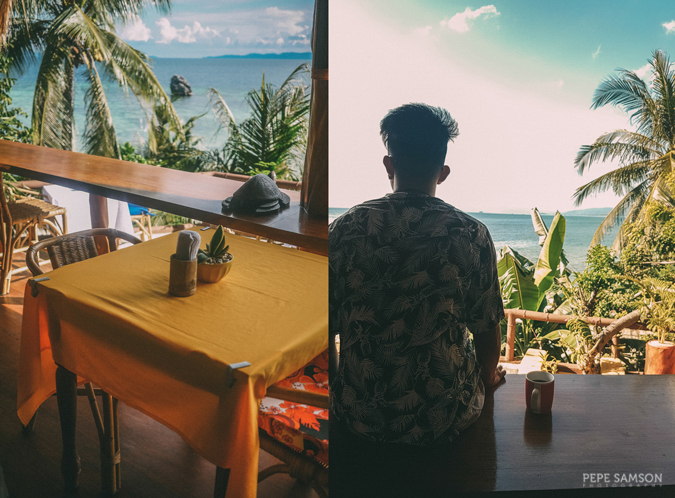 I used to dream only of seeing the last frontier of the Philippines—never did I think that this Palawan virgin would be staying in a private island in his first ever trip to what everyone calls paradise. Talk about crossing an item off your bucket list with a bang! I had envisioned long days of sightseeing and had tons of stunning pictures in my head—but none of them measured up to what I actually experienced in Floral Island. 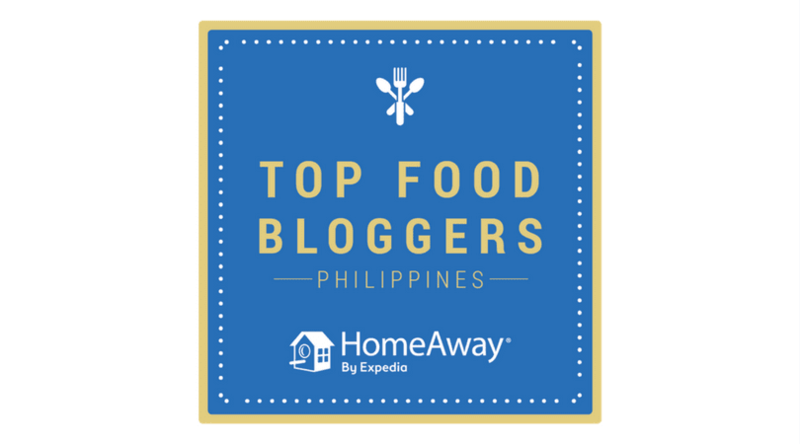 It is truly hard to pinpoint what the best part of this place is, but I would have to say that the hosts and staff took our stay from amazing to exceptional. Within moments of walking into this sanctuary, we immediately felt the investment they had to make our trip an unforgettable one. 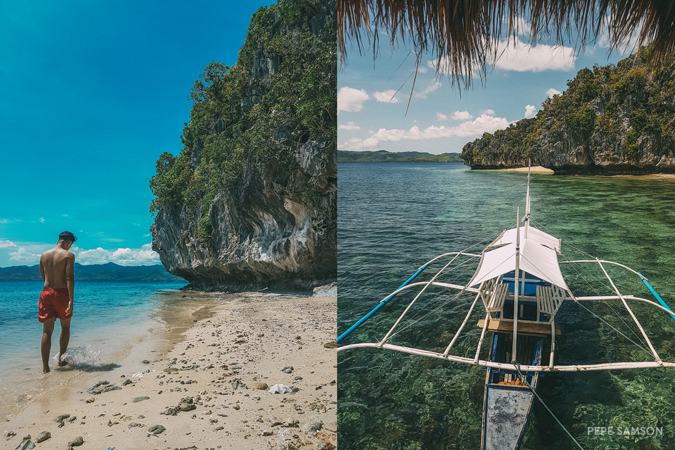 I can think of more whims and fantasies when I go back to Palawan, but I bet what I had at Floral Island would be pretty hard to beat. 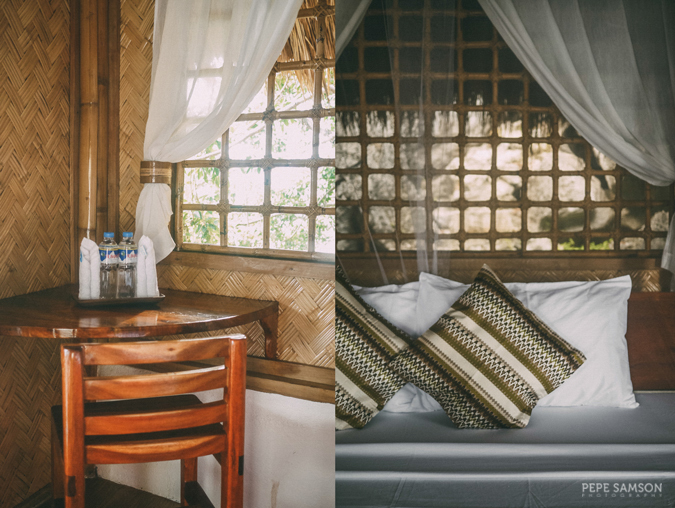 Relaxing and beautiful rooms with astounding views; tropical vibes everywhere. Incredible hosts and friendly staff! 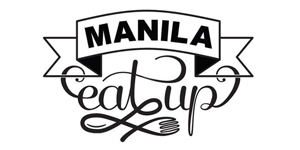 Exquisite food: best I've tasted yet in any island. Quiet, relaxing, exciting, cozy all at the same time. 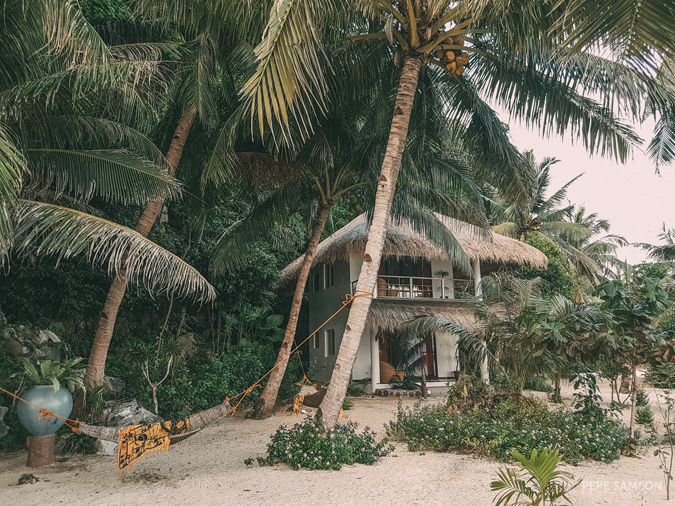 Perfect hideaway. 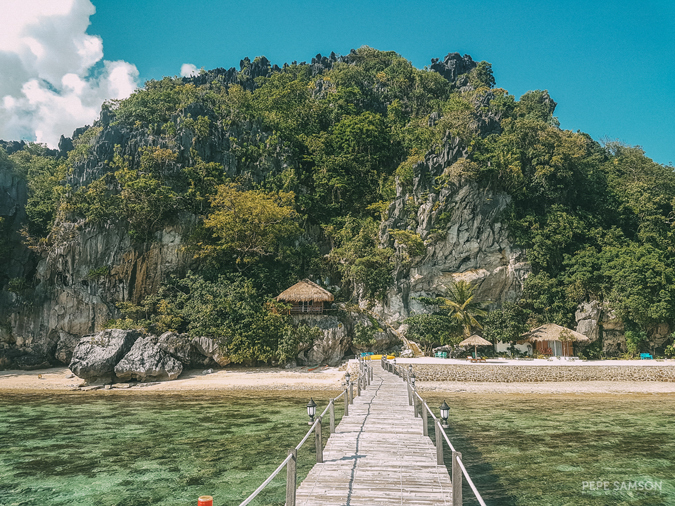 Away from all the activity of busier parts of Palawan, like El Nido. 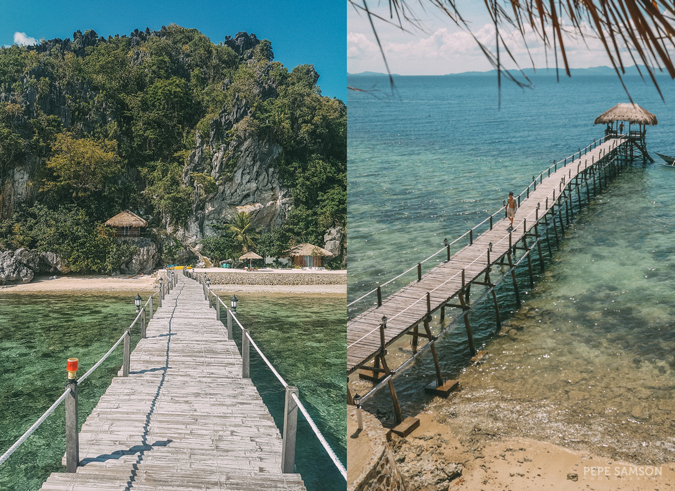 An idyllic escape in Palawan; in one word, paradise. 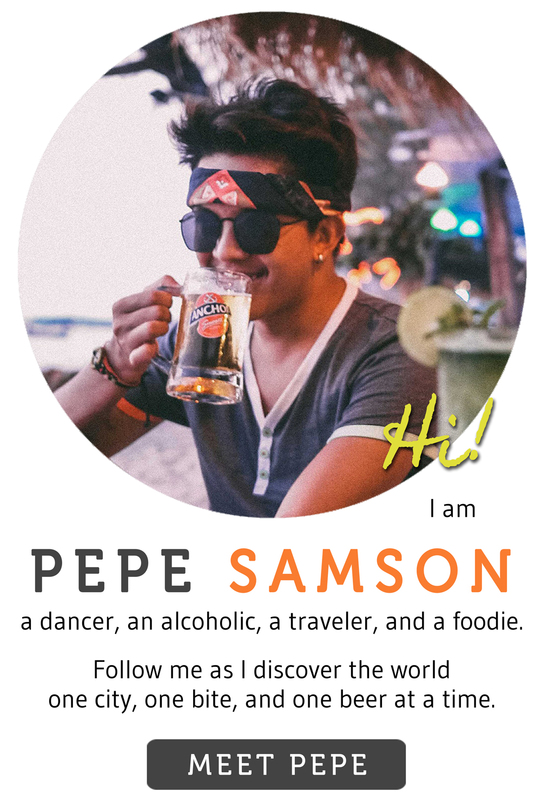 Have you been to Palawan? What places have you visited? Have you been to Taytay and Talacanen Island?